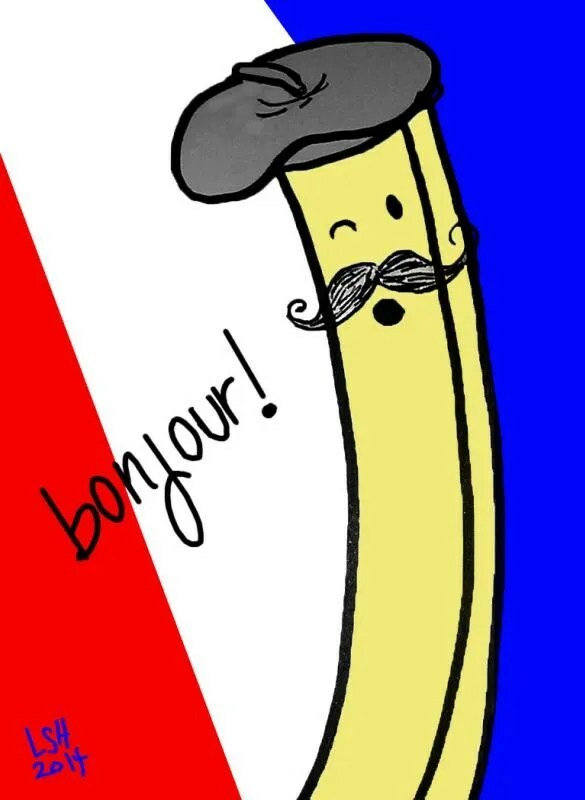 Just an afternoon greeting from a friendly french fry. He’s so french and full of greetings. Sometimes simple posts are nice. I am working on a theme for next week. Also I just ate some curly friends of that guy, I hope he forgives me. I hope everyone who reads this has a great week. Ehrmygod love so incredibly much, Lauren. . . No words. I love it THAT much. I love it no words much. I’m so glad that my doodle could make you that happy! You have radiated happiness back to me! I also enjoyed some of his kinfolks recently although they were not nearly as charming as your beret-wearing friend. I saw the mustache and almost though he was an Italian fry for a second. Good luck with your theme and thrilling design position search. I am still working on my doodles for theme week, and I have an interview for a thrilling design job! Everything is coming up… french fries! I am sure you are glad he’s not Italian… it’s not too soon to poke fun at your facebook acquaintances is it?